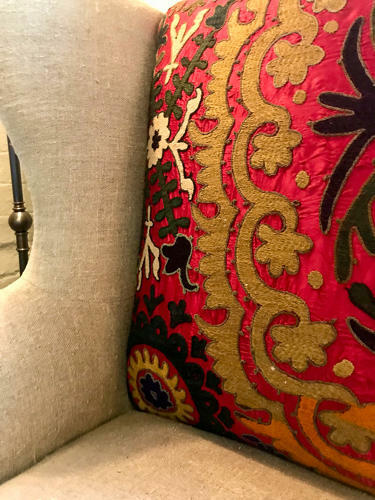 Reupholstered 19th century wing sofa - upholstered in rough linen and a Turkish 1940s suzani. Very deep seat and very comfortable. On castors (not original).